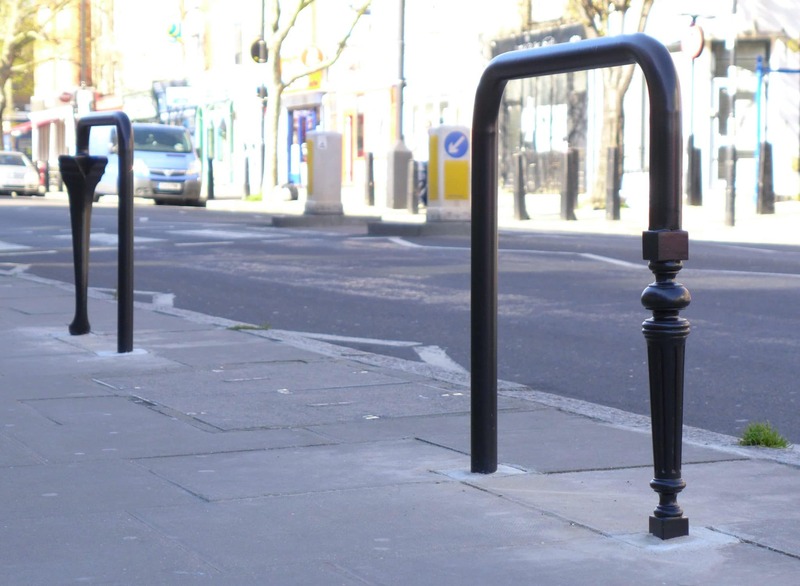 A range of bespoke cycle stands installed along Caledonian Road, London. 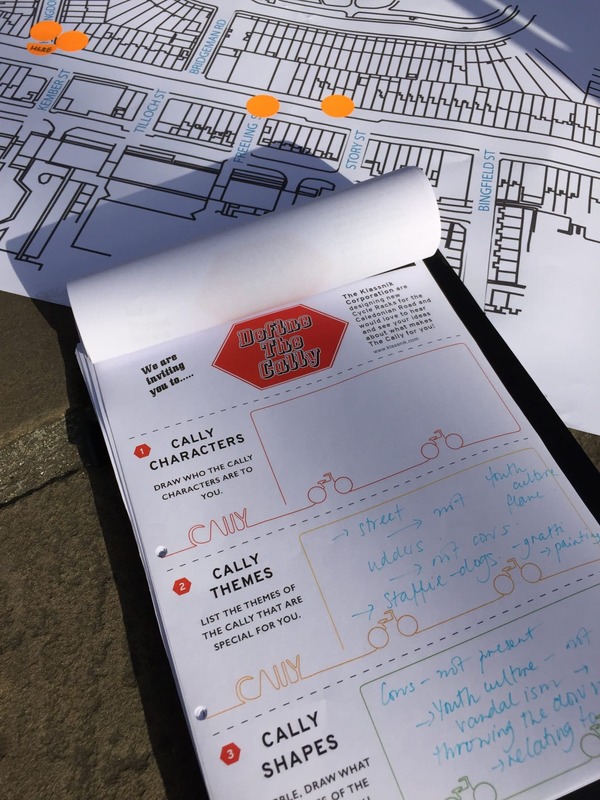 Inspired by the history of animals associated with ‘The Cally’ and items of discarded furniture found left by the kerb. 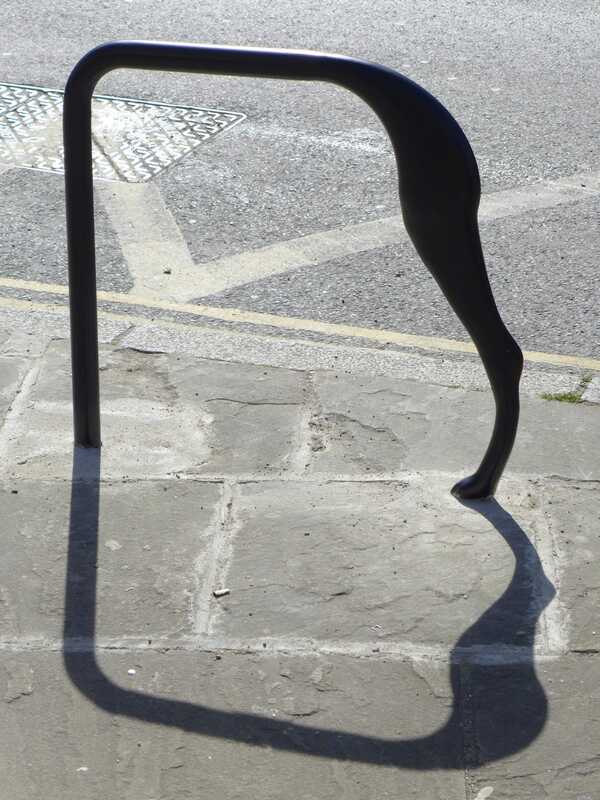 A variety of different leg types emerge uncannily from the tubular form of a cycle stand. 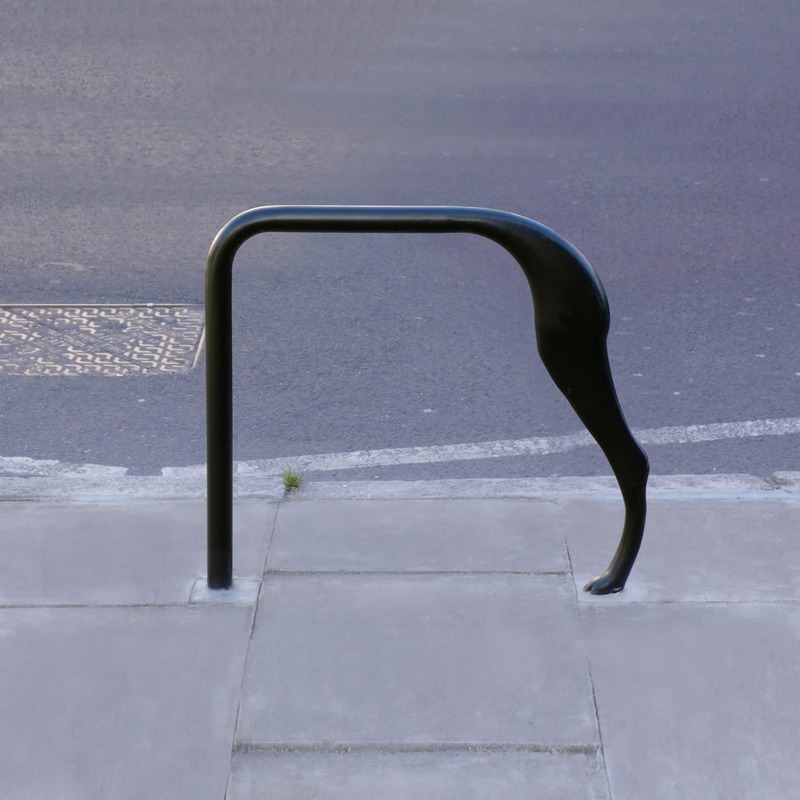 Subtle mutations and slippages between forms more often associated with digital space are solidified and embodied within this familiar everyday object, whilst also providing a useful addition to the street’s public realm cycling infrastructure. Painted in RAL 9005 black and positioned anonymously amongst other pre-existing stands, these unusual hybrids including a Cabriole table leg, a Greyhound dog’s leg and a fluted chair leg, create subtle and surprising visual glitches through their appearance, disrupting the standard repetition of the street’s ‘furniture’. 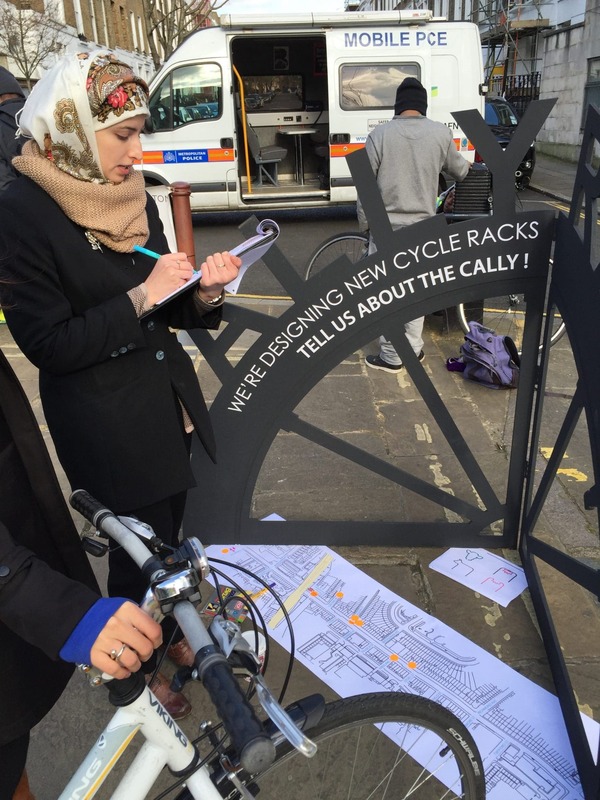 Following a series of public consultation events held in 2015. The chimeric cycle stands were produced using a combination of advanced digital CAD fabrication techniques and traditional foundry cast iron craftsmanship. The project was commissioned by Islington council and TFL as part of their public art investment in Caledonian Road which lies north of Kings Cross.